Patients and caregivers can have an impact on research but they need a platform to do so. Currently, most opportunities for patients and caregivers to get involved in research require patients to contribute in person. These opportunities may include sitting on a panel to discuss priority setting, contributing to a focus group to review study materials, or traveling to meetings to review research grant applications. Unfortunately, barriers to participation inherent in these in-person formats can mean that patients and caregivers do not get a voice in research. Giving patients and caregivers a way to be involved in research virtually can overcome these barriers and add new voices to research. 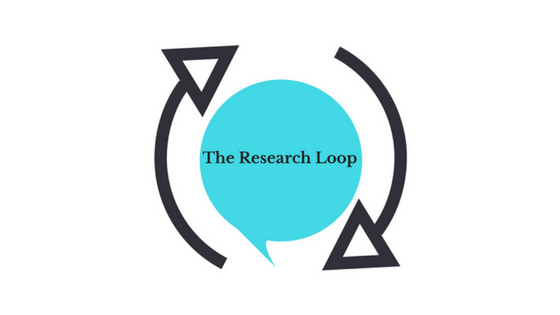 The Research Loop made made its first tweetchat debut on #IrishMed last Wednesday, July 12, 2017. Dr. Liam Farrell from Ireland founded and moderates this tweetchat every Wednesday at 10pm BST and 5pm EST, bringing together an international group of patients, caregivers, providers, researchers, and many more to discuss a range of healthcare topics. For this tweetchat, Liam was kind enough to have me as the co-host to talk about patient and caregiver involvement in research.